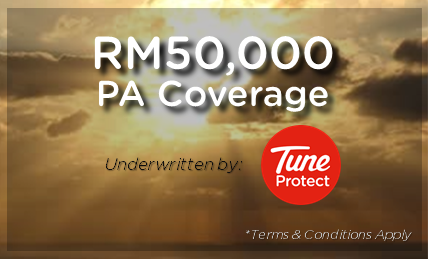 Personal Accident Insurance Coverage RM50,000. Top Up a minimum of RM50 each month to receive your FREE RM50,000 PA Insurance! .